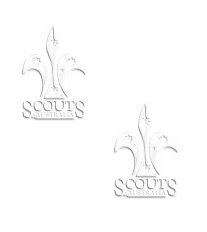 With the Sea Scouts activities based around water activities, our Scout group are fortunate to be be ideally located in Hervey Bay, about 300km north of Brisbane on the Fraser Coast in South East Queensland, Australia. The weather remains fairly consistent all year round with a wonderful mild tropical climate. The current population is around 40,000 and Hervey Bay is one of the fastest growing cities in Australia. Thousands of tourists visit every year to relax in Hervey Bay, go whale watching and to explore the wonders of the magnificent heritage listed, Fraser Island. This page was last updated on 21-Feb-2000.